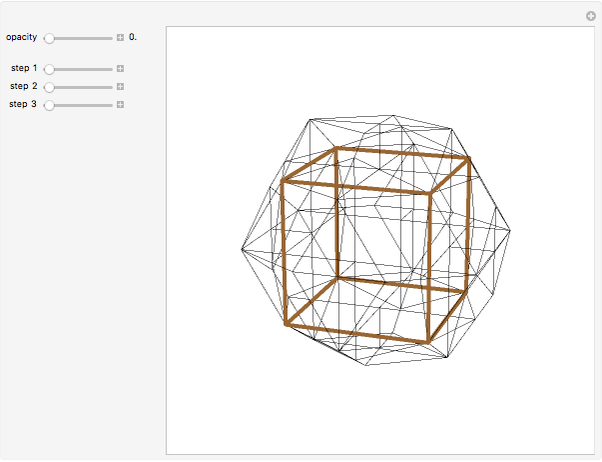 This Demonstration shows the dissection of a rhombic triacontahedron into 20 congruent cubes. 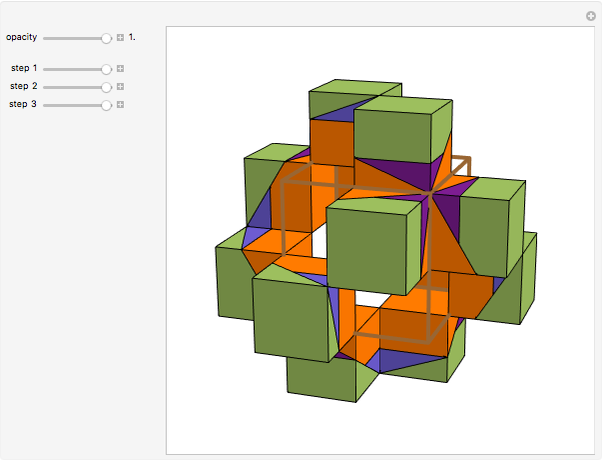 This dissection follows from the Demonstrations by Sándor Kabai (Rhombic Triacontahedron Built on a Cube) and Izidor Hafner (Dissection of a Cube to a Quarter of a Rhombic Dodecahedron of the Second Kind). 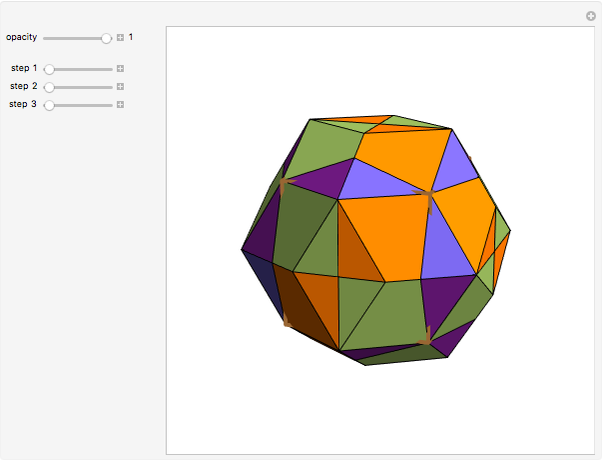 Izidor Hafner "Dissecting a Rhombic Triacontahedron into Twenty Congruent Cubes"